Our area of study, animal welfare, is a matter of widespread concern and plays an increasingly important role in policy and regulatory decisions about food production. 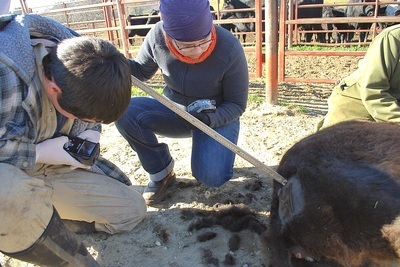 We investigate how the behavior and physiology of cattle change in response to farming practices, such as painful procedures, management decisions, and environmental conditions. 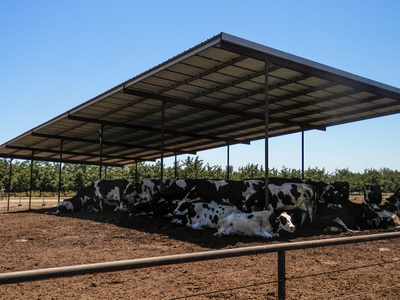 The results of our work contribute to science-based decisions about animal agriculture. 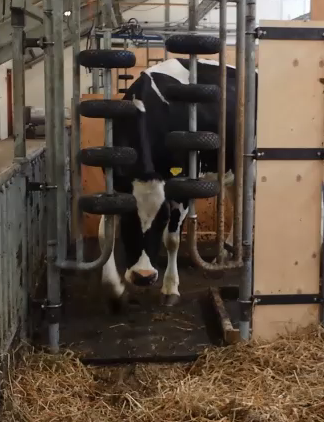 Cows get more restless the longer they stand. 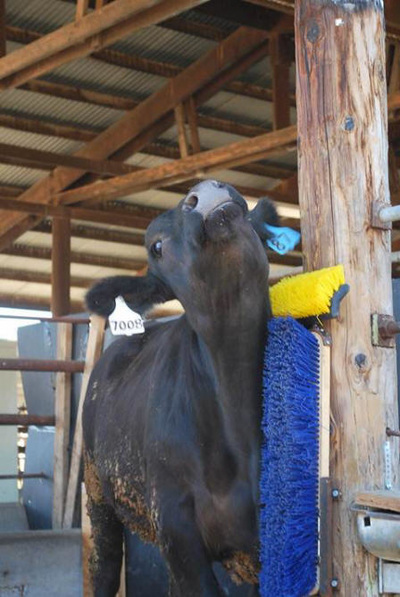 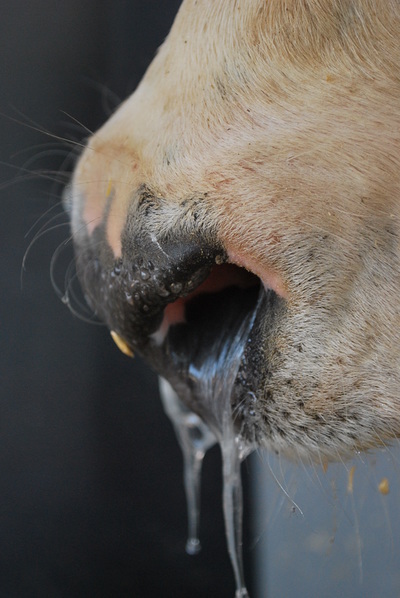 Beef cattle will use a brush for up to 1 hour per day. Cows will voluntarily use a shower for up to 8 hours per day. 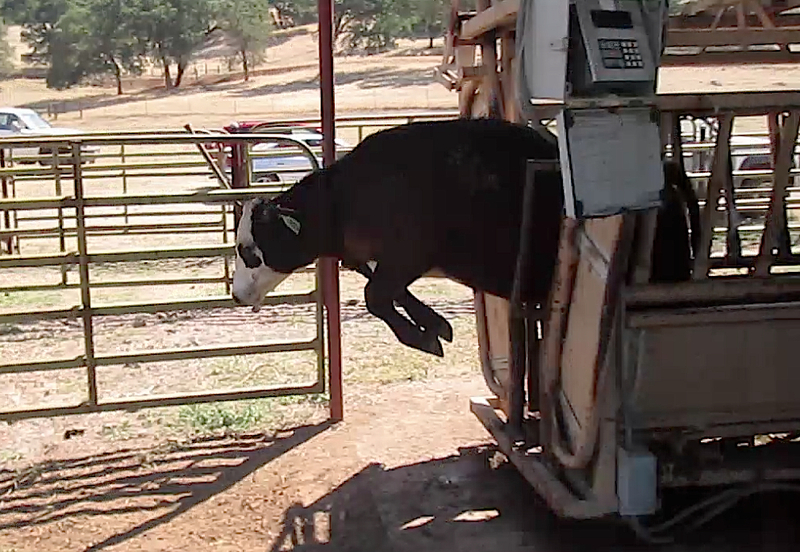 The amount of time cows spend lying down can be measured with accelerometers worn on their leg. 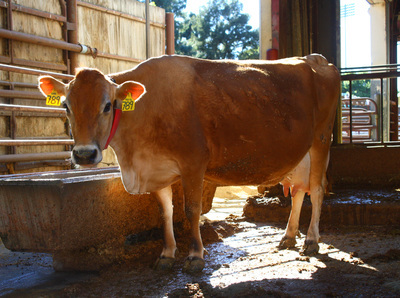 Sick animals are more sensitive to pain. 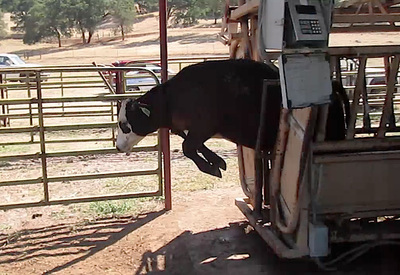 Electric prods increase the risk of cattle balking, vocalizing, stumbling, falling, and running out of the chute. 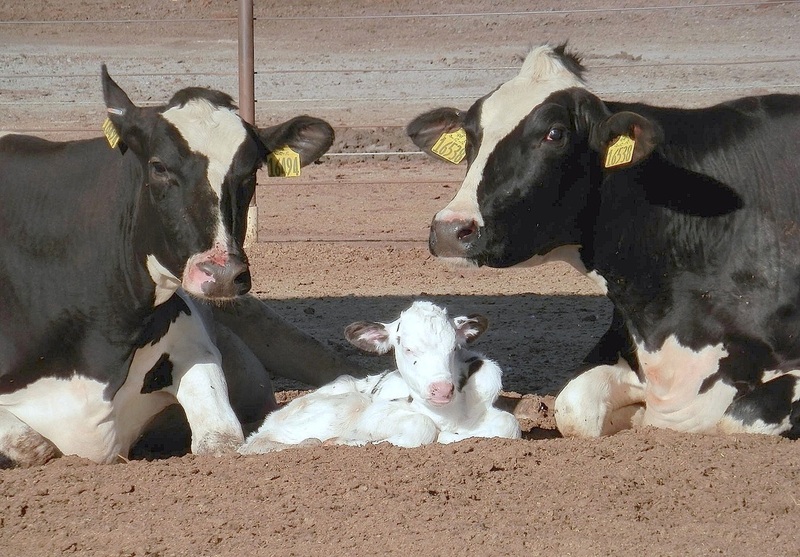 Dairy cows only leave shade, on average, for 2 minutes at a time in the afternoon in the California Central Valley. 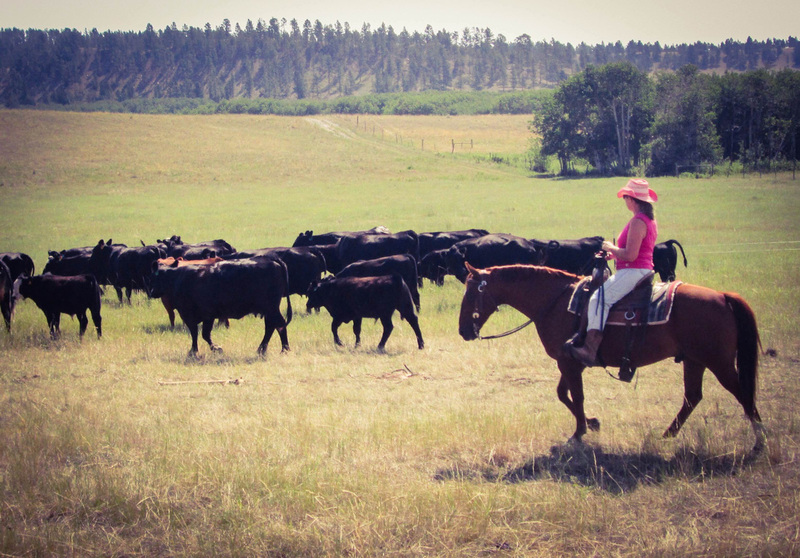 Brand wounds take 10+ weeks to heal. 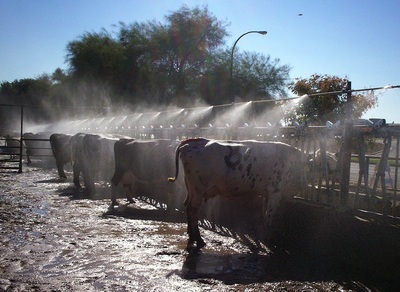 Spray is used to cool dairy cows in summer. 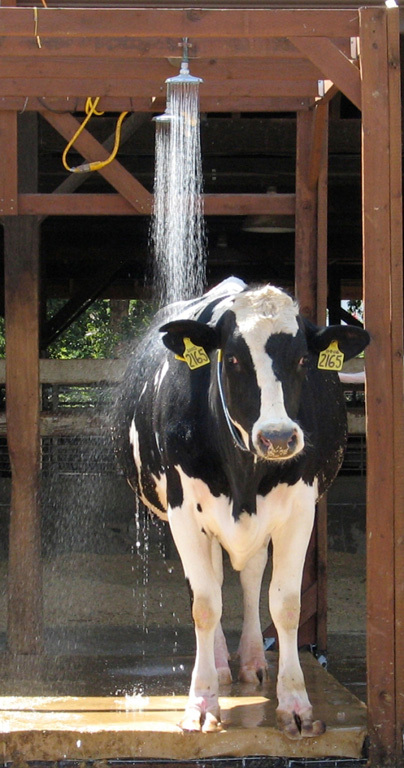 Cows avoid getting their heads wet, but this doesn't affect how much they use water overall. Calves play less when they are in pain: giving them analgesics reduces these effects. Cows are highly motivated to lie down. 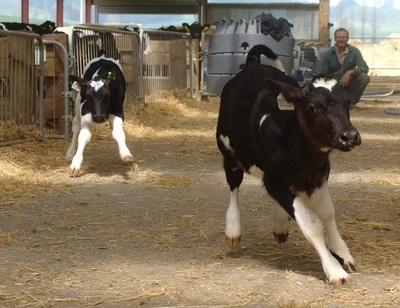 They will push with up to 40% of their body weight in order to open a gate that gives them access to deep-bedded straw.